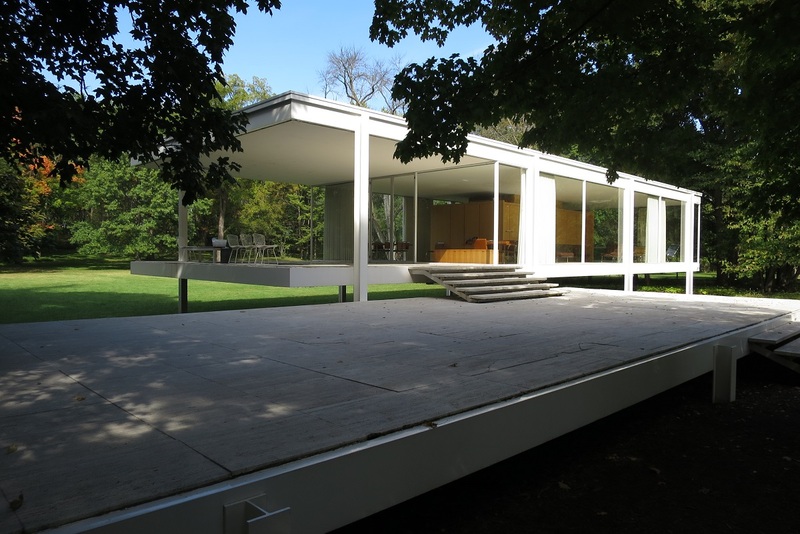 The Farnsworth House: Architecture in the U.S. 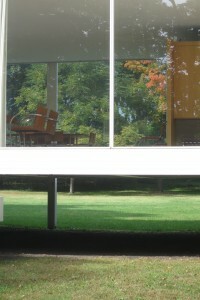 The Farnsworth House was designed by Mies in 1945 and was constructed in 1951 in Plano. 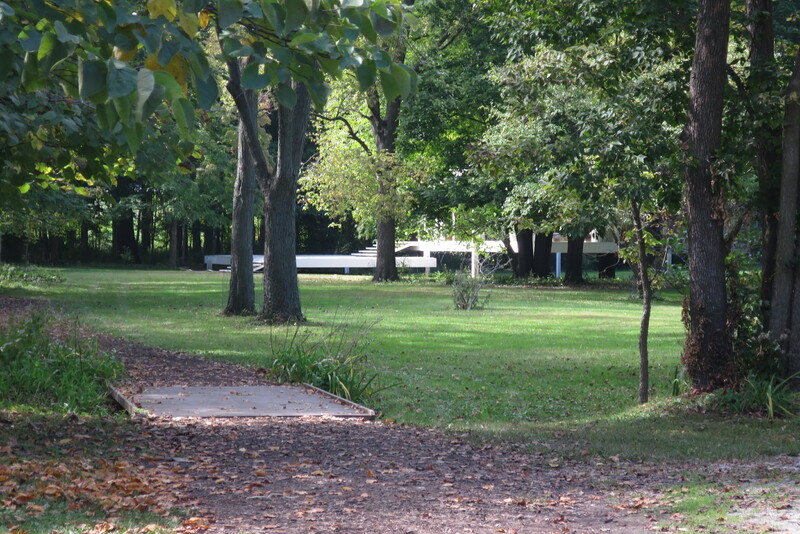 It was made for Dr Edith Farnsworth as a weekend house. It takes about an hour and a half by car from Chicago. Looking at the simple glass and steel house, we can understand Mies’s dictum, “less is more.” He said, “Nature, too, shall live its own life. 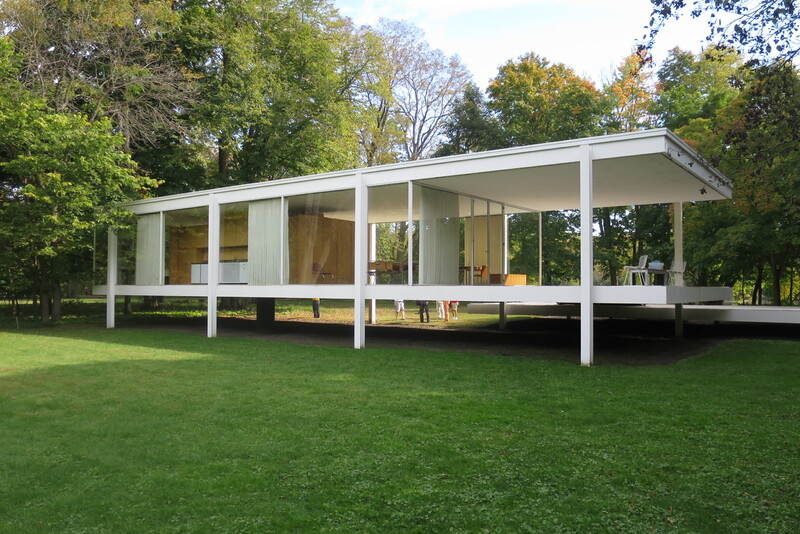 We must beware not to disrupt it with the color of our houses and interior fittings. Yet we should attempt to bring nature, houses, and human beings together into a higher unity.” The area where the house is located is enclosed by the beautiful nature; he wanted the house to integrate well into it. 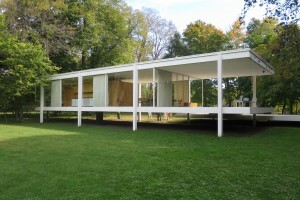 In addition, he wanted one to feel that the house’s elements would disappear and that one would connect with nature directly even if one is inside the house. 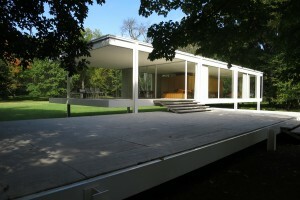 He also gave incredible attention to quality and detail. You can understand that if you look carefully at the details of the connections between the H-shaped columns and the beams. 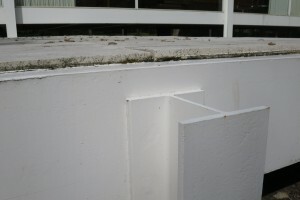 It was as if it was connected by glue; however, it was in fact connected by slot welding, and the traces were just grinded flat. 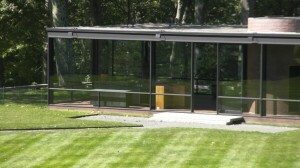 This work also had a great influence on Philip Johnson’s work “the Glass House”, which is in New Canaan, Connecticut. I have also included a photograph of it here since it is also beautiful. 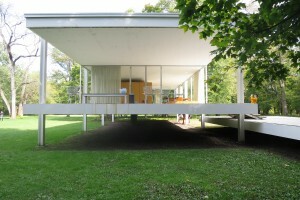 The Farnsworth House is one of the most beautiful buildings I’ve ever seen.